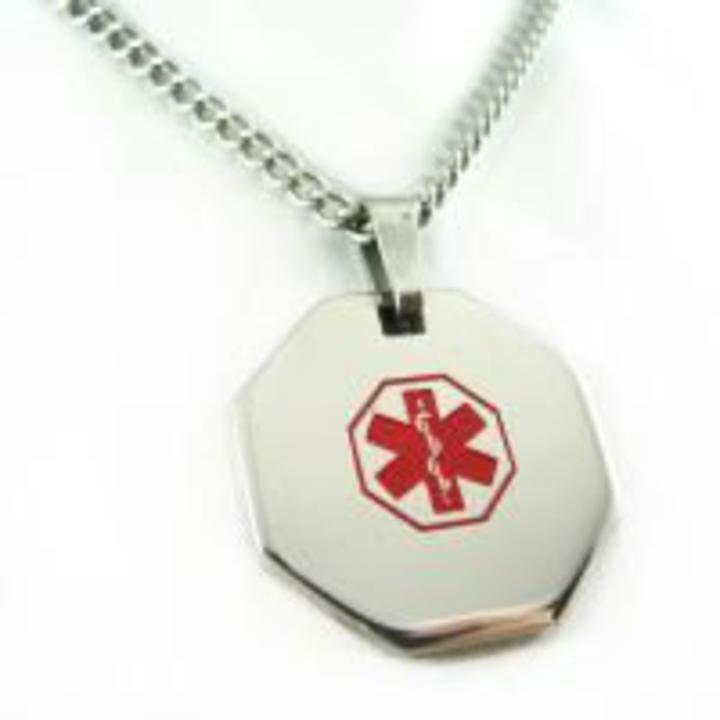 Providing thee most preferred engraving for HIGH visibility for all of our Medical ID Necklaces. We engrave in a BLACK font that makes it easy to see and read in-case of an emergency. Engraving is the most important part and we specifically make our engraving Highly Visible on all of our items. • Size: 1" x 1"